Read all the latest news about Bomin Group. ShippingWatch gives you independent, credible, critical and fair news. German bunker company Bomin has been hit with two new accusations concerning contaminated bunker. In one case, a company claims that Bomin knew the bunker oil was contaminated even prior to delivery. Bomin fires back: "Thorco Lineage was unseaworthy"
Bunker supplier Bomin, which is under suspicion by Thorco Shipping for having supplied bunker fuel to shipwrecked Thorco Lineage, now replies in a new statement of defense. The ship may have already been unseaworthy upon departure, claims Bomin. 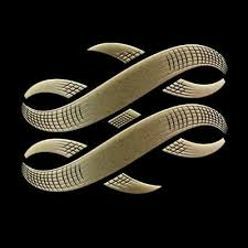 Bunker supplier Bomin has now found a buyer for its bunker operations in Antwerp. The buyer already controls another shipping company in the tanker segment. German bunker supplier Bomin will soon exit the world's largest bunker port, Singapore. This will create space for competitors, writes Platts. Bunker company Bomin maintains its innocence in the case concerning the Thorco Lineage shipwreck, in which contaminated bunker has been mentioned as a cause for the ship's sudden engine failure. The fuel was high quality, says Bomin. 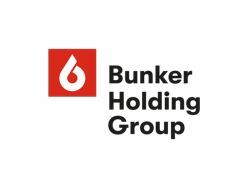 The bunker supplier closes its activities in two of the worlds biggest bunker ports to focus on its offices in Houston and Hamburg. The move will prepare the company for the changes in the bunker market by 2020, says Bomin. German bunker company Bomin has decided to shut down another regional office, and the company has also hired a new CEO with extensive experience in the sector. Hamburg-based Bomin Group expands its business in Singapore ahead of the new requirements set to come into force in January 2017 aimed at curbing fraud related to bunker transfers. Bunker company Endofa is opening an office in Denmark. Endofa plans to use the new office as headquarters over time, as the company wants to rid itself of the reputation that it is easier and more speculative to run a business from Dubai, owner Kenn Søndergaard tells ShippingWatch. Bunkerselskabet Bomin med hovedsæde i Hamborg, og som netop har etableret sig i København, går nu også ind i det hurtigt voksende bunkermarked i Ruslands fjernøstlige del. Former employees of collapsed OW Bunker are heading new offices for foreign-based bunker suppliers in Copenhagen in the two companies Peninsula Petroleum and Bomin Group. A third is on the way. Tidligere ansatte i det krakkede OW Bunker leder nye afdelinger for udenlandske bunkerselskaber i København i de to virksomheder Peninsula Petroleum og Bomin Group. Et tredje er på vej. Fuel supplier Bomin Group will enter the Danish market with the opening of a new office. The physical operations in Copenhagen represent part of the company's strategy aimed at growth in 2015. Den tyske brændstofleverandør Bomin Group slår sig ned i Danmark med åbningen af et nyt kontor. Den fysiske operation i København er del af selskabets strategi om vækst i 2015.